Why Trust Your Closing to Absolute? Trust Absolute to help you with your radon mitigation needs during your real estate transaction. Our consistent, competitive pricing is free of up charges or misleading discounts. Your system will meet EPA recommendations and work with the initial installation. Our industry leading warranty guarantees levels lower than 4.0 pCi/L. without ever charging you for extra work, fan upgrades or hidden fees. Absolute’s pricing is competitive and consistent. We offer real discounts to sellers, not pushy sales gimmicks. You may even be able to defer your payment until closing. We absolutely promise to bring the home’s levels down below 4.0 pCi/L. The price we give you is all you will ever pay. There will never be any additional charges or hidden fees. Your system will be installed and completed in one day, by one expert installer. We will finish the job quickly, conveniently and on-time. Transfer our warranty and low-level promise anytime with no cost. We’ll handle the documents electronically to save you time and hassle. Your re-test kit is completely complimentary and includes free shipping. It will be mailed directly to you from a lab trusted by the CDPHE. The lab then sends the post-mitigation results to your email address. We love working with realtors, home inspectors and anyone in the home service trade. We can offer your clients genuine discounts which will help the real estate transaction go smoothly. We take pride in working with DMAR realtors and affiliates. 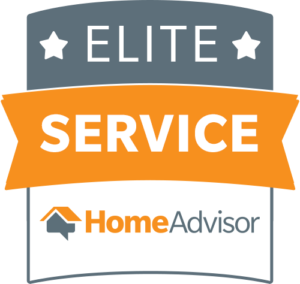 Your clients will appreciate the exceptional customer service we’re known for!